The NSERC Chair for Women in Science and Engineering, BC and Yukon, is pleased to announce the Westcoast Women in Engineering, Science and Technology (WWEST) Partners Project. This project provides funding to non-profit groups in BC and the Yukon who are undertaking outreach, recruitment, and/or retention projects focusing on women in engineering, science and technology. The WWEST Partners project aims to bring together groups with similar goals from across the region to share best practices and provide peer support, while reducing duplication of effort. Women in Engineering (Vancouver Region) is a network and professional development group focused on building a community for female engineers in the Lower Mainland. WIE-VR offers career and professional development workshops, and provides female engineers with an opportunity to build and expand their professional relationships. SCWIST is a non-profit society whose mandate is to recruit, retain and support women in science, engineering and technology, and continue that support throughout the women’s careers. WWEST supported SCWIST’s annual workshop series, which covered topics that served the needs of key audiences – students, professionals and immigrants – such as work-life balance, personal marketing strategies and management and leadership skills. The BC Women in Technology (BCWiT) team is a core group of women, members of Applied Science Technologists and Technicians of British Columbia (ASTTBC), representing various disciplines in the technology field. They aim to provide support, be an information resource and promote awareness to women in technology careers, and to women seeking new career opportunities. DAWEG provides event updates from other women in engineering and geosciences groups across the province to members, and sponsors awards and events. 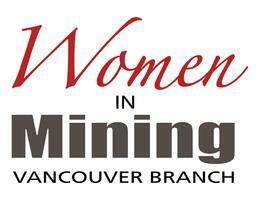 The Women in Mining (WIM) network is an informal organization connecting women involved in or affiliated with the mining resources sector.